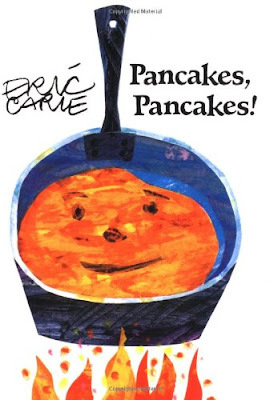 Shrove Tuesday (Pancake Day) is nearly here! 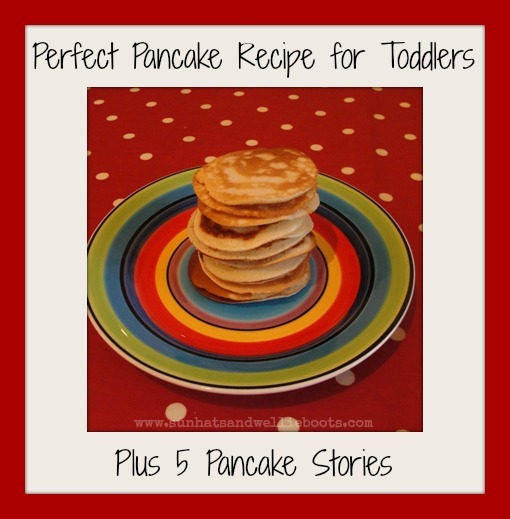 To mark the day we're making these yummy mini pancakes (drop scones) which are an ideal size for toddlers. Alongside these, we're sharing some of our favourite pancake storybooks. 2. In a separate bowl beat the egg, added the milk & beat them together. 3. 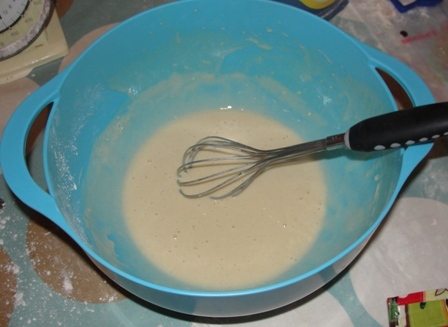 Pour the milk/egg mixture into the dry mixture & combine well to form a batter. (We used a hand whisk but an electric whisk would obviously be much quicker) If there are any lumps in the mixture, just continuing whisking until they disappear. 4. Wipe a little oil around a cool non-stick pan. 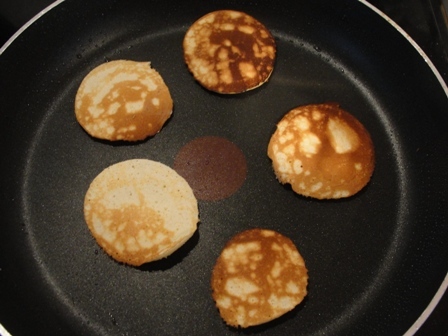 Once the pan is hot pour a tablespoon of the batter into the pan to form a small circle shape. We managed to fit 5-6 into our pan. 5. 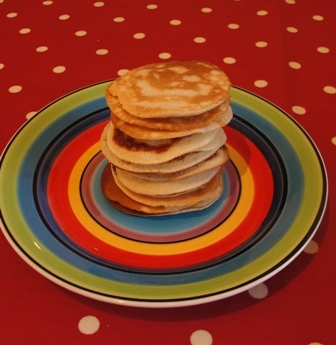 The pancakes should take around 60 seconds to cook on each side, check that the underside is cooked & golden before flipping it over using a slice. 6. 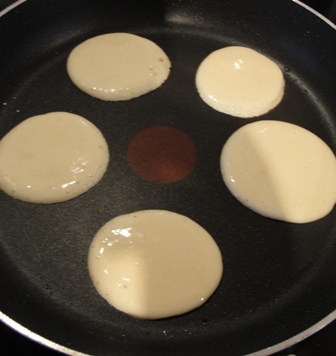 Once the batch is cooked transfer them to a plate, take the pan off the heat & wipe the pan with a little more oil & add the remaining batter as before. Once we had finished our pancakes we added our toppings. I used a muffin tin which helped keep the toppings neatly-ish together. 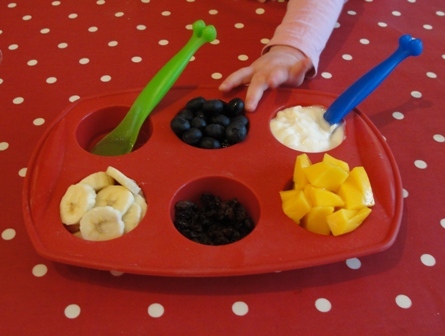 Spot the little hand eager to just sample the blueberries! 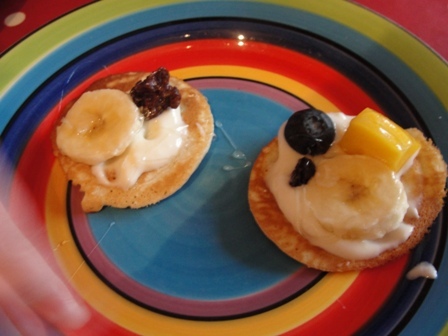 The toppings we used were; fresh mango (cut into chunks), blueberries, raisins, sliced banana, honey, & fromage frais, all of which Minnie loves. 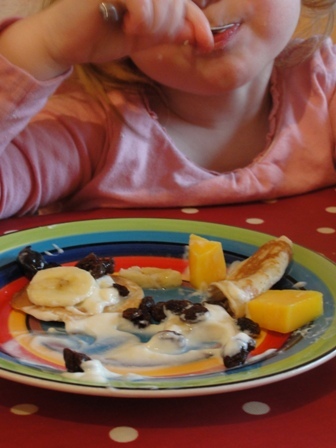 There are of course a whole number of possible toppings for the pancakes; most fruit works really well, as does jam, or greek yoghurt... yum! 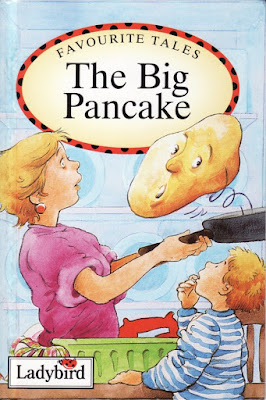 together after you've enjoyed your homemade pancakes.